This experimental, just-for-fun side project was created to test and showcase Google Translate‘s poetic abilities. The basic idea is simple: take a poem written in English, translate it into other languages, then translate it back into English and see what it looks like. The resulting poems are often silly or nonsensical, but they are sometimes surprisingly profound. Sort of. 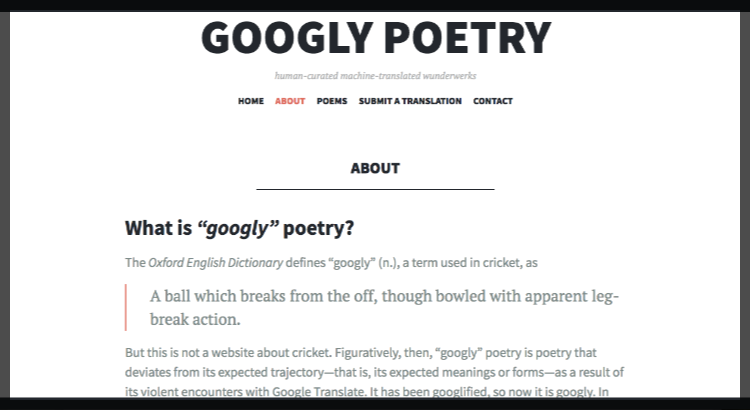 Currently Googly Poetry is more of an experiment in machine translation and a repository of primary texts than it is a fully-realized DH project or site of critical analysis. 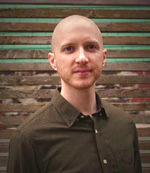 However, it has provided me with the opportunity to explore several (competing) best-practice methods for publishing poetry in a digital environment.